Paper Pawz: Simon Says Stamp Flickr Challenge! Simon Says Stamp Flickr Challenge! I have not had much time over the last few months to craft, it is time for that to stop and my goal is to participate more in challenges this fall. 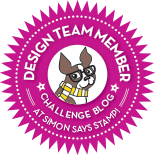 The new challenge over on the Simon Says Stamp Flickr page is dots and/or stripes. I had quite a bit of craft time last weekend so I made one for this challenge! I decided on the fantastic Spring Flowers and More Spring Flowers for this project. I used the SSS Rose Gold Embossing Powder on some Bristol Cardstock and instead of colouring them traditionally, I decided to try ink blending with my Distress Inks. 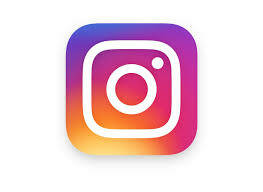 Bristol paper is ideal for this type of ink blending. I die cut my images with the corresponding dies. I then took a piece of Neena Solar White 80 lbs and die cut it using my favourite Avery Elle Wonky Stitched Rectangle and a Lawn Fawn stitched oval. I added some black and white striped pattern paper and then placed my flowers around the opening. Once my flowers were attached I decided to add a few of the dots from the Spring Flowers set and coloured them in with my black Gellyroller. 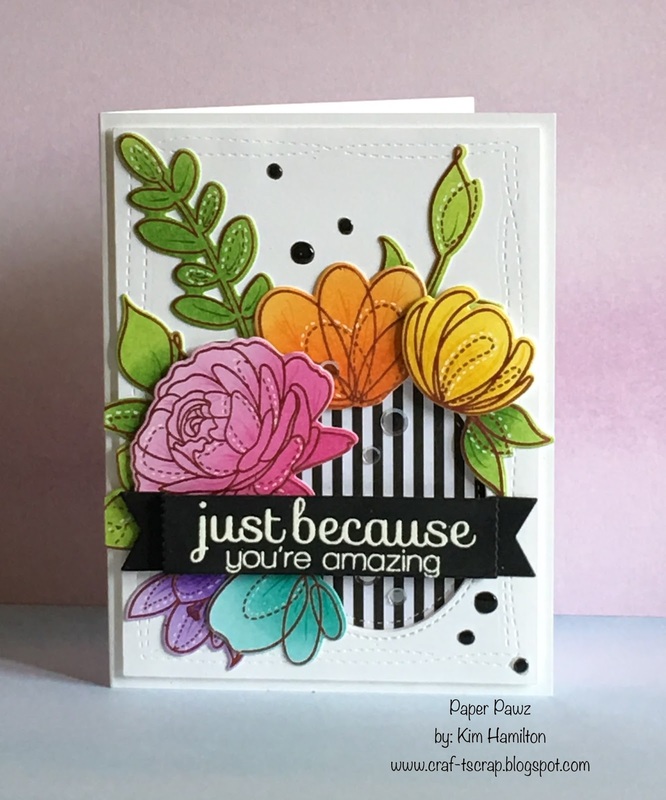 I felt like I need a bold sentiment so I die cut a strip of black card stock and white embossed one of my favourite sentiments by SSS from the older Flower Friend stamp set. I place my banner with foam tape and finished it off with some sequins from the SSS July card kit in the centre.